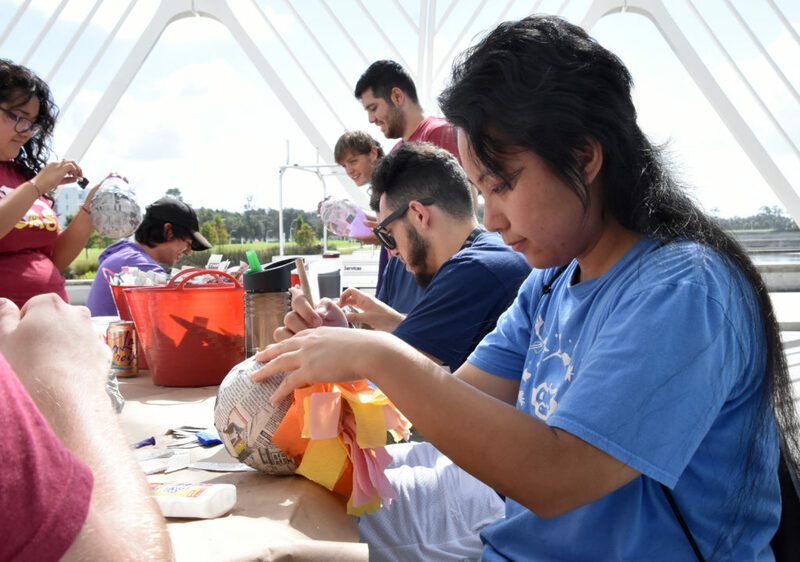 Florida Polytechnic University students build piñatas during an event to celebrate Hispanic Heritage Month on campus. 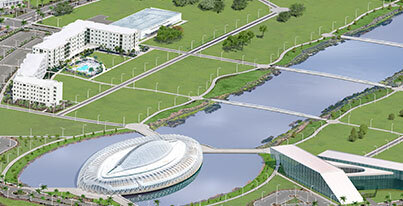 Florida Polytechnic University students are often busy building robots, Rube Goldberg machines, algorithms, or various types of self-driving vehicles. However, on Wednesday, Sept. 26, they took a break from the labs and put their brains to work building piñatas. 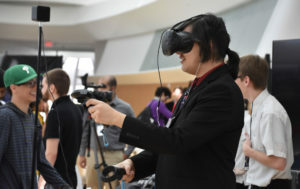 More than a dozen students gathered in front of the Innovation, Science and Technology (IST) Building, to assemble small piñatas they took home. 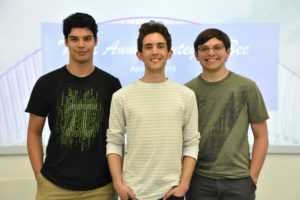 The event was organized by the Latin-American Students Association (LASA) to share the joy of the piñata tradition during Hispanic Heritage Month. Each student started by covering a balloon with layers of tiny pieces of newspaper and then decorated it with colorful stripes of crepe paper. They then hung them on a string to let them dry. For more information about other Hispanic Heritage Month events coming up on campus, contact Shirley García, LASA president.